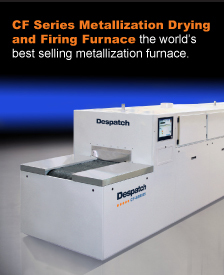 Minneapolis, Minnesota, USA, December 6, 2017 – Despatch has redesigned its RAD2-19 and RFD2-19 Cabinet Ovens to accommodate customer demands for a smaller footprint. The original design of these cabinet oven had the controls on the side of the oven. The new design has the controls on the bottom of the oven which significantly reduces the amount of floor space that the oven requires. The new design is has a width that is 20 inches less wide than the previous model. 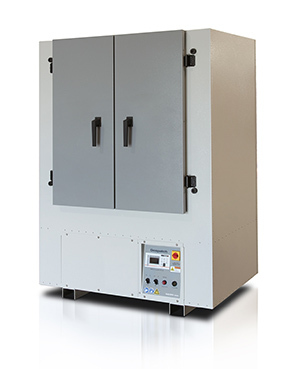 Despatch RAD2-19 cabinet oven has a 19.5 cubic foot chamber and a maximum temperature of 650°F. 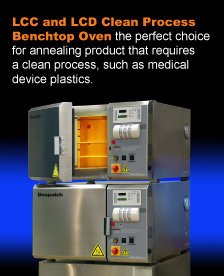 It features horizontal recirculating airflow to ensure exceptional temperature uniformity throughout the oven. The result is proven reliability in demanding production and laboratory applications, such as curing, drying, stress relieving, aging, and other process-critical applications. 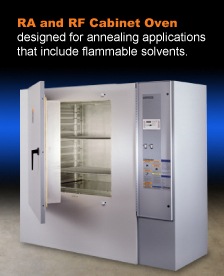 The RFD2-19 is a Class A model designed to meet NFPA 86 requirements for applications that include flammable solvents or large amounts of moisture removal.